Godzilla is getting an animated movie for 2017. Studio is going to be Polygon Pictures and Gen Urobuchi will be involved with the storyboard/draft. Polygon Pictures - Sidonia no Kishi and Ajin had amazing action scenes, so has not criticized. Nice. As a Godzilla-fan I'm quite happy with this news. Can't wait years for the movies to come out. So it will be a good entertainment till the actual films comes out. Aside from me liking Godzilla, I'd be willing to give it a watch for Urobuchi alone. Nice. Dynamic tag cannot be rendered. (PrintableThread) That series is fun btw, but only if you accept that the “Godzilla” in this one is not Godzilla, but a giant Iguanosaur that can breathe radiated green-fire and dig the ground real fast like a mole. Oh, and he’s more or less a pet of the MC in that series. All the episodes are available on Youtube in case somebody is bored enough :heh:. I watched ALL of that show, not as bad as you'd expect. Also, my experience with "original" Godzilla (I do know the big guy has had his share of reimaginigs and reboots) only reaches a couple movies, including 2000. That's part of why I asked that question. Godzilla has never appeared in anime but has made a cameo in Crayon-Shin-chan. Also, his first animated appearance was this. Strangely enough, I'm less bothered by CGI if the show is all-CGI. So if they do it pure CGI I guess I'll be okay with it. But if it's CGI with hand-drawn, It'll be a lot harder for me to stomach it. That said, if Gen Urobuchi actually has full creative control of the story we might be in for an actually scary Godzilla anime. EDIT "Gen Urobuchi will be involved with the storyboard/draft."...uhm...okay. I'm worried now. 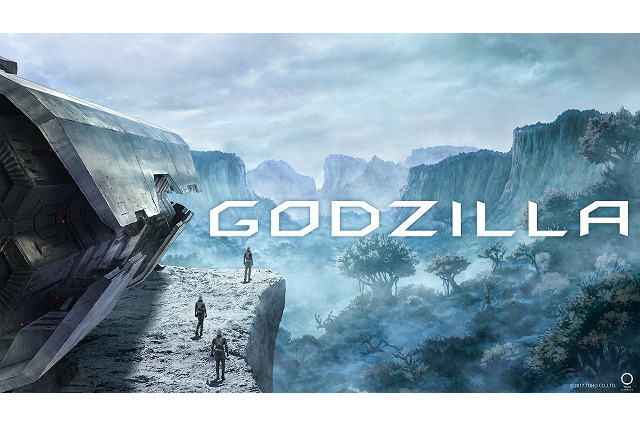 The official website for Polygon Pictures' Godzilla anime film announced six main cast members for the film on Thursday, and also revealed a concept art image. The movie seems to be more of a science fiction than just a monster destroying Tokyo. And, yes, I know about Monster Island. Star studded team of VAs! Hopefully we get to hear the iconic Kaji voice.